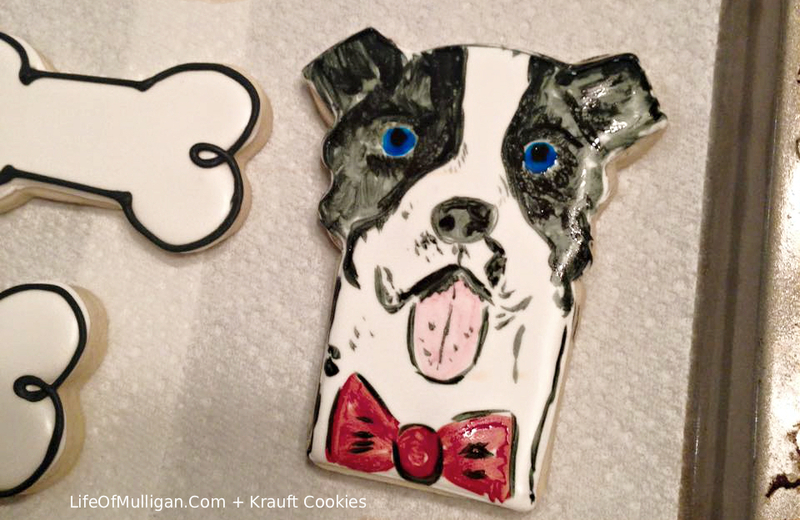 Mulligan + Krauft Cookies teamed up to host our first ever Instagram cookie auction! 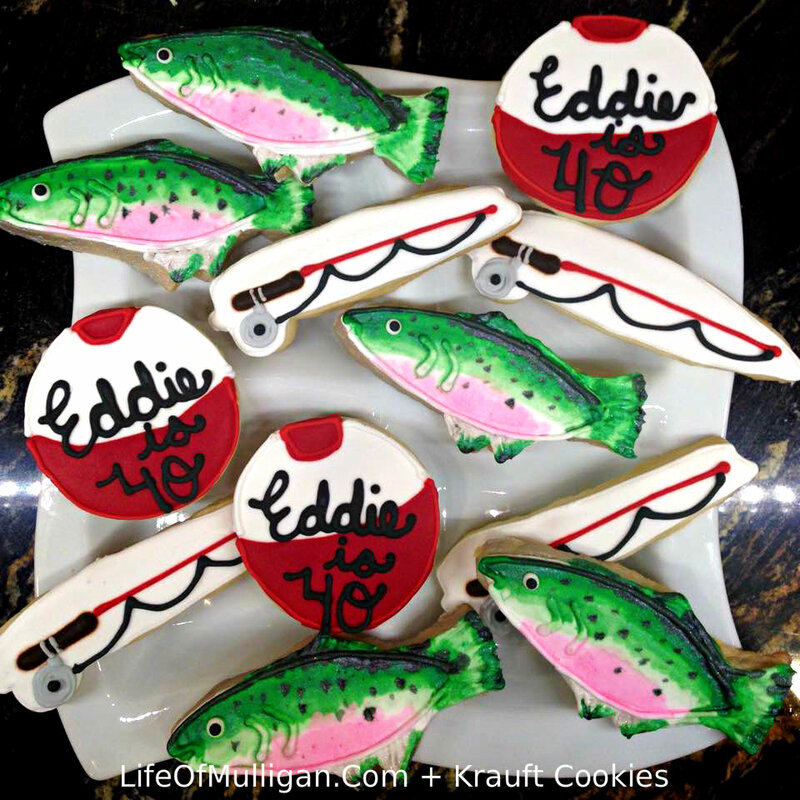 I had never even heard of a cookie auction before, but Liz – the owner and unbelievable baker behind Krauft Cookies – filled me in on how they work and what to do! 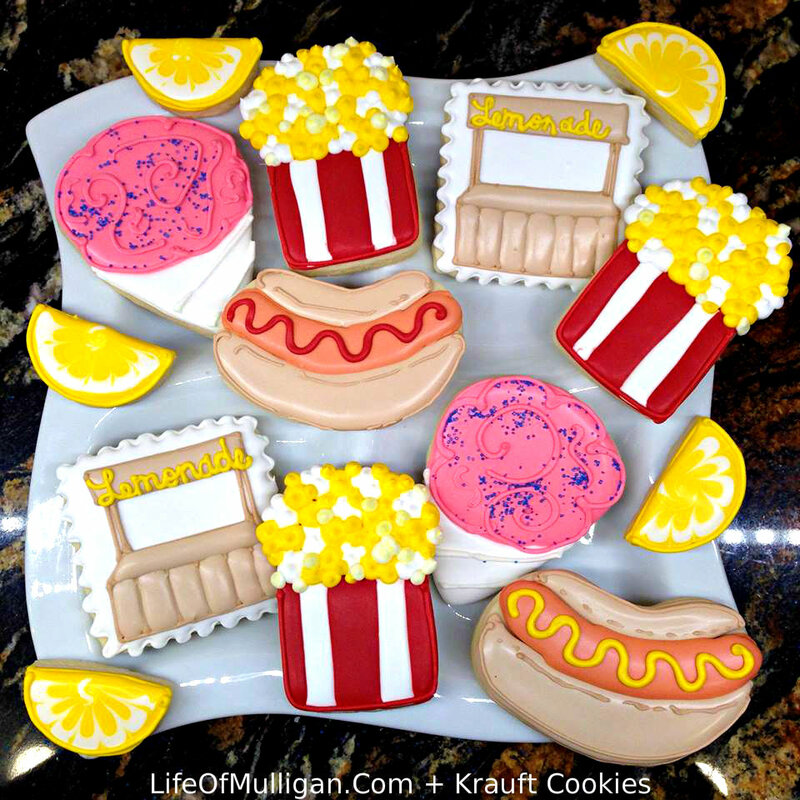 Liz created cookies that represented Mulligan & some of his favorite things! 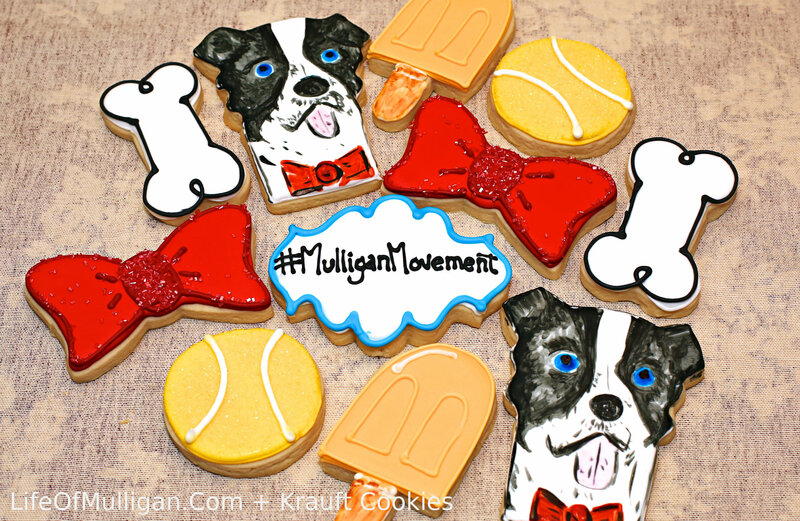 The cookies included Mulligan red bow ties (his signature), chicken broth popsicles (his favorite summer snack), tennis balls, dog bones, and #MulliganMovement cookies. When I saw the finished product, I couldn’t believe my eyes! 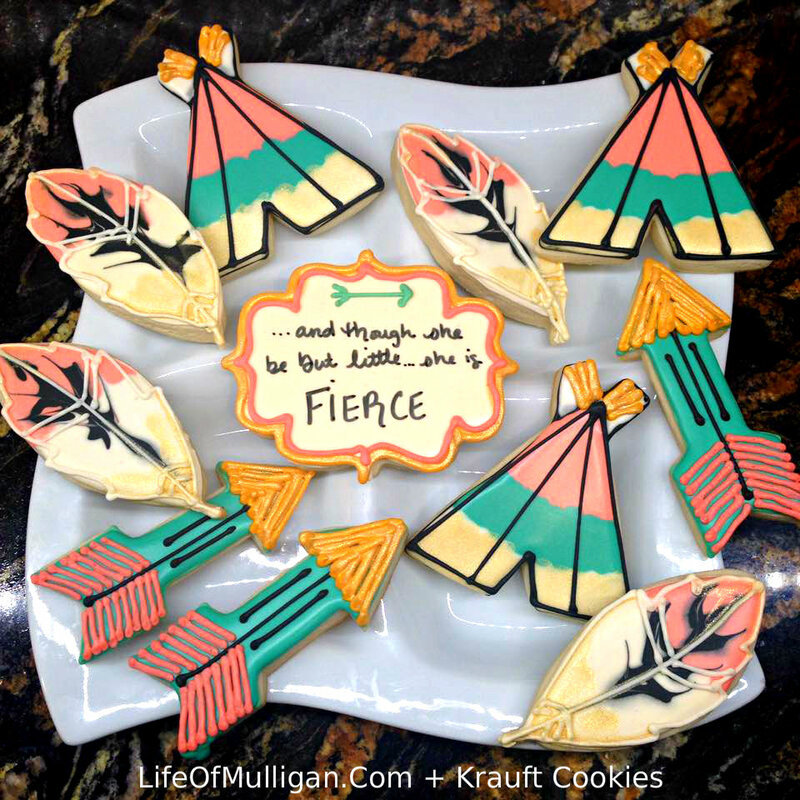 The Mulligan cookies looked just like Mulligan and the cookies looked too good to eat. Seriously, Liz is absolutely PAWSOME! 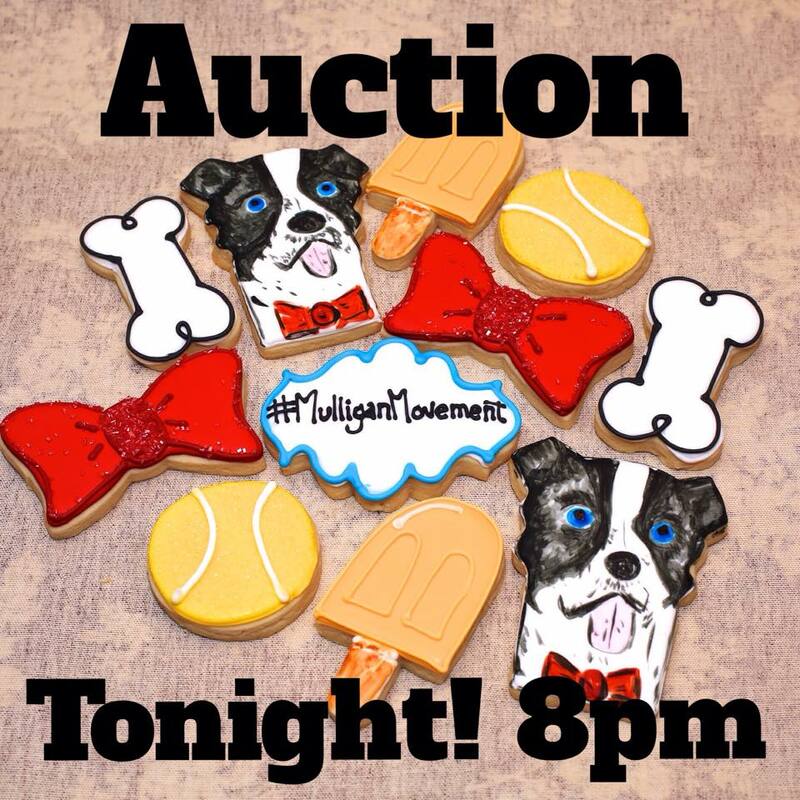 On Friday, June 19th at 8 p.m. we launched our first cookie auction! 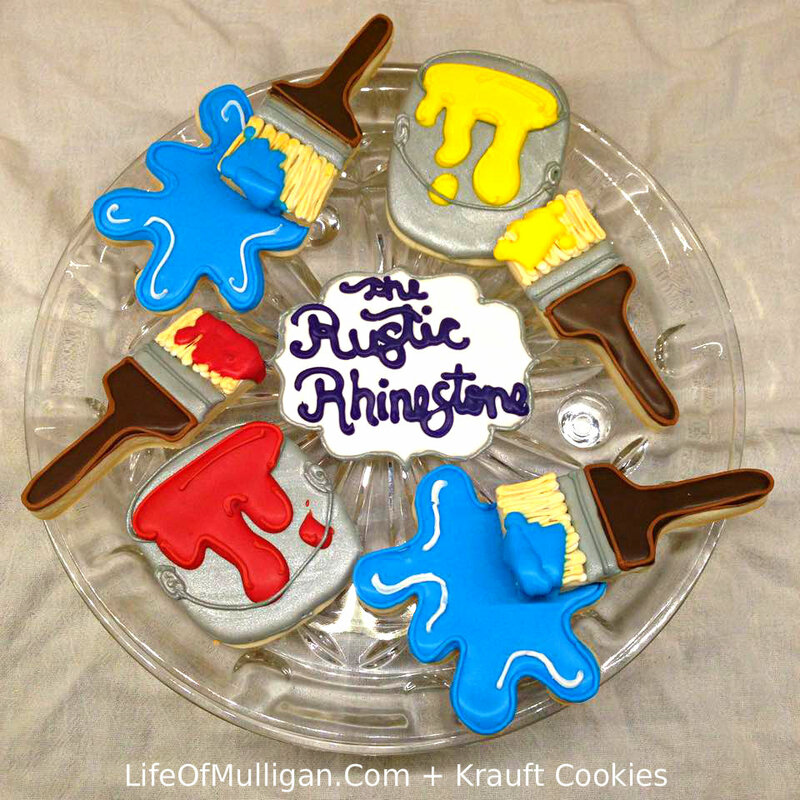 Auctioning off two dozen cookies representing all things Mulligan! Our goal was to raise money for a local shelter. We decided to donate the funds raised to Springdale Animal Shelter, the shelter where I found Mulligan. The auction went from 8 p.m. – 8 a.m. on the @KrauftCookies Instagram account. We were lucky enough to raise $70!!!! 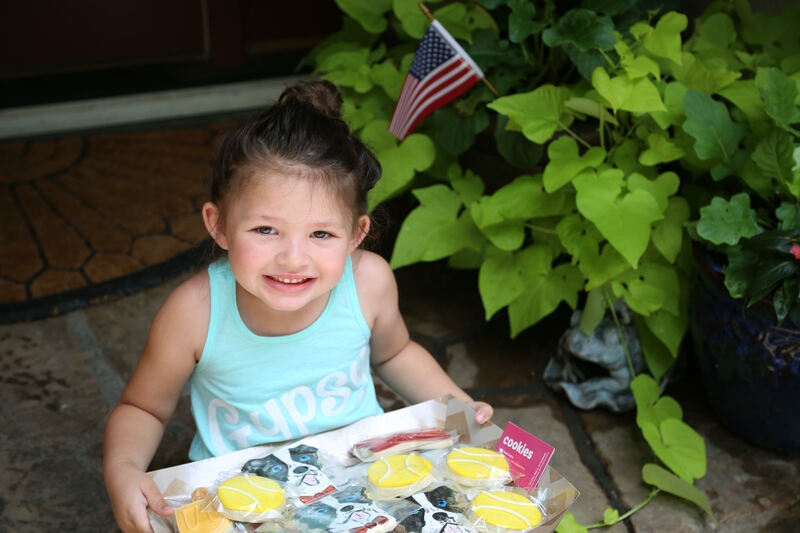 Thanks to this cutie, Sophie, who’s mom Rose bought the cookies for her! All of those funds were donated to Springdale Animal Shelter where, like all funds raised through the Mulligan Movement, were donated to help provide health care and supplies needed to maintain a healthy living environment for the current residents. Liz Krauft has been in Fayetteville since 1992. Her family moved here from Fort Smith, Arkansas when she was around 7 years old. She has been here ever since and now is raising a family of her own here! 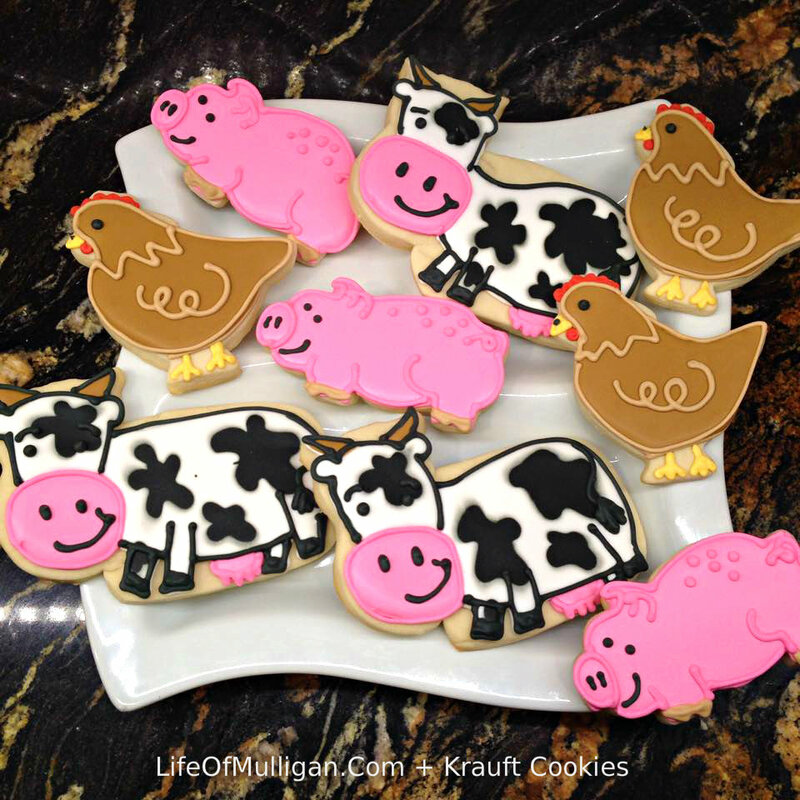 Liz started Krauft Cookies around January 2015. She had been having success selling Thanksgiving and Christmas themed cookies and with people trying to get in contact with her she decided to start a Facebook page! But what to name it? 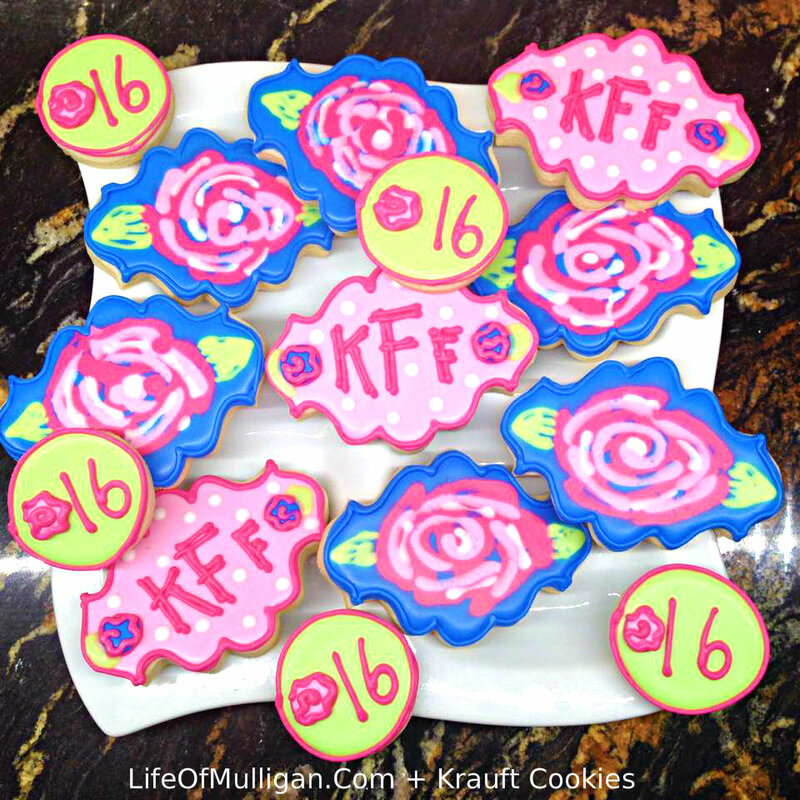 Her husband filmed her baking one day and posted to social media using #KrauftCookies, thus the name stuck. So what goes into making Krauft cookies? Liz described it as quite a long process! She starts off by chatting with clients to make sure she understands exactly what they want. Liz doesn’t want to miss any key details. Every batch is made FRESH FROM SCRATCH! Each and every detail in the baking process is very precise; the oven temperature, the dough mixture, the countertop temp, and the icing consistency. All must be perfect! She says, “These cookies are not forgiving! My cooking style is very opposite from baking cookies. I normally will just toss in ingredients, and never measure a thing. With the cookies, I make sure that I go so far as to use the same utensils to measure and brands of ingredients every time to ensure uniformity”. Liz says the icing is the most important part. Every single drop of water counts, not one drop too much or too little will work. The cookies bring a lot of joy to people, and that is the best part. It is truly a labor of love for Liz. Liz & her husband have a nine-year-old brown lab named Parker! She is both diabetic and epileptic, requiring daily medical needs. Liz used to do work with one of the non-profits that helped to benefit Fayetteville Animal Shelter. It was there she was exposed to the needs of local shelters and is one reason she was inspired to help the Mulligan Movement! Want to order some? Liz books up quickly so you will want to place an order a month in advance. 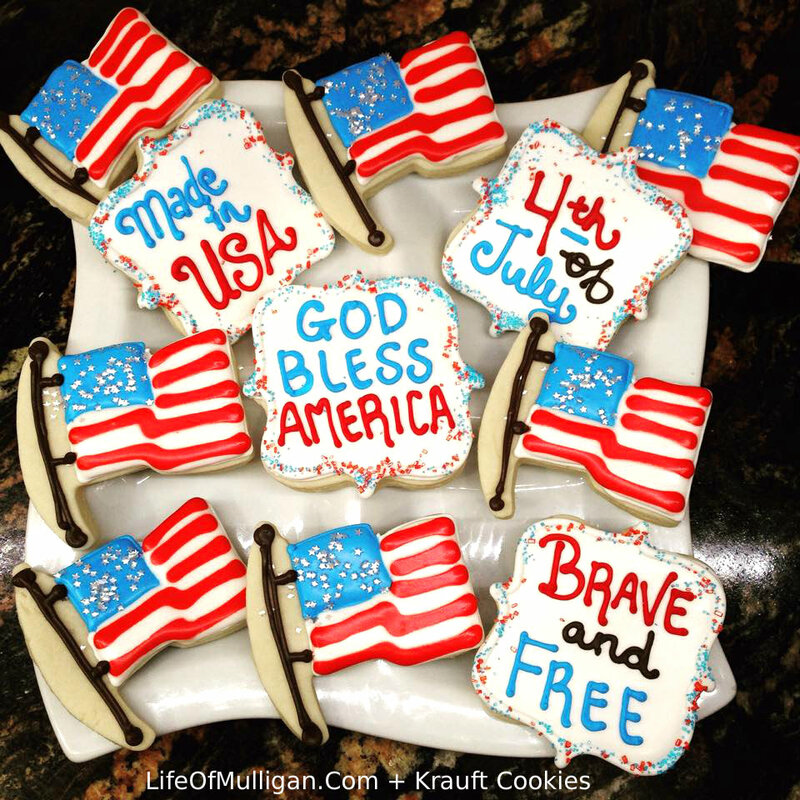 Cookies range from $35 – $50 per dozen depending on complexity. 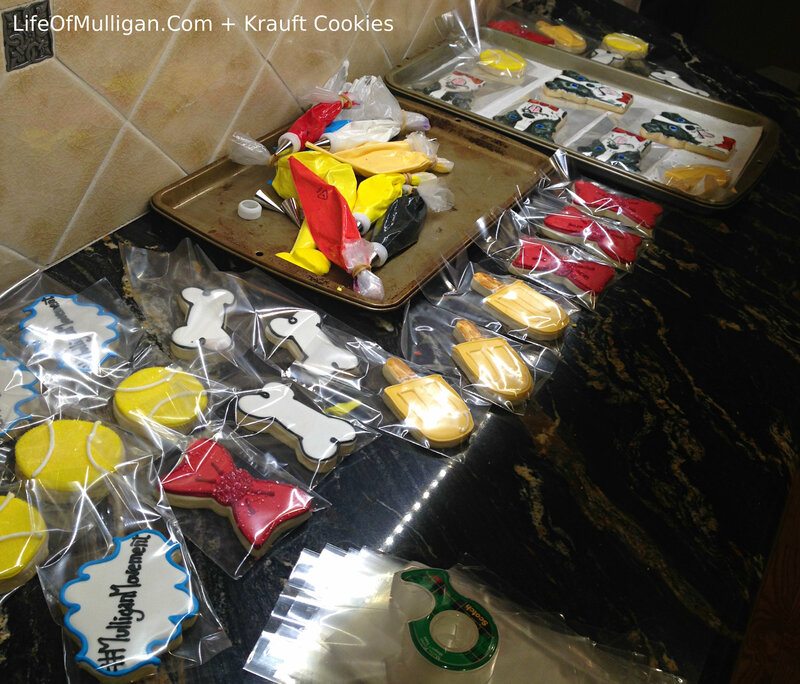 HUGE THANK YOU to Krauft Cookies for teaming up with the Mulligan Movement & helping to raise shelter awareness, as well as money for Springdale Animal Shelter, in a unique and fun way! 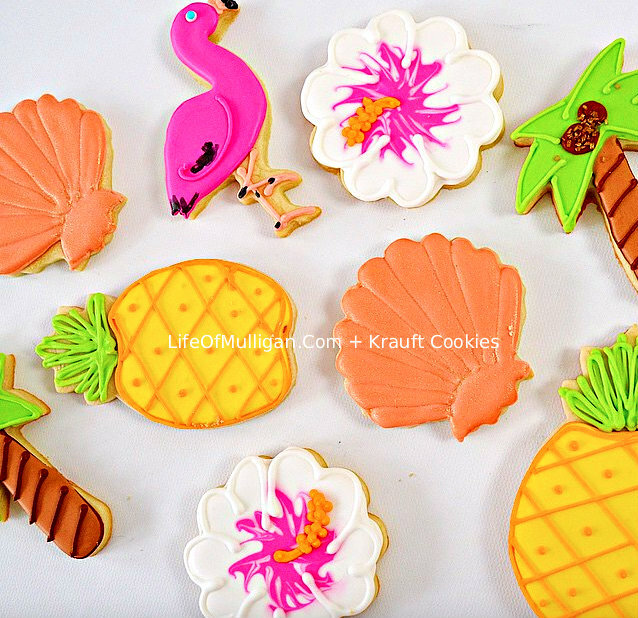 These cookies are gorgeous. If I ever get around to planning a book launch party, maybe I can have some made (and shipped to CO). Loved the blog! Love the one about Belle too. We were excited to get cookies, Sophie looks sweet(thanks Liz). We actually went to the Shop n Adopt, just to donate n grab a few cookies!! Keep up the awesome work Mulligan!! Your a Star!! Thank you so much! Sophie is so cute!! Thank you so much for participating in the cookie auction & helping our shelters!! Wish we would have seen you at the event! Maybe we were inside?! None of the things I do would be possible without support from great people like you!!! the much more steady and quieter a helmet will be.